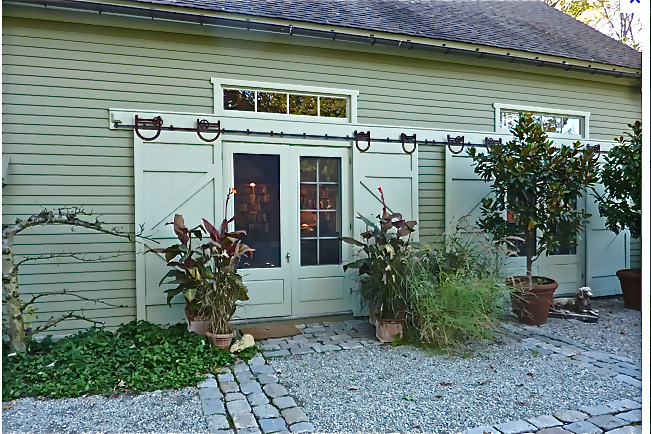 love using an antique door on the front entrance to a project. The charm and quality that it adds to the entry can just ‘make’ the first impression of your property. And as Barbara Corcoran would say, “You have 8 seconds to make a good first impression on the buyer.” I am looking for new entry doors for the Mountain house. The existing doors are just the worst, as you will soon see. 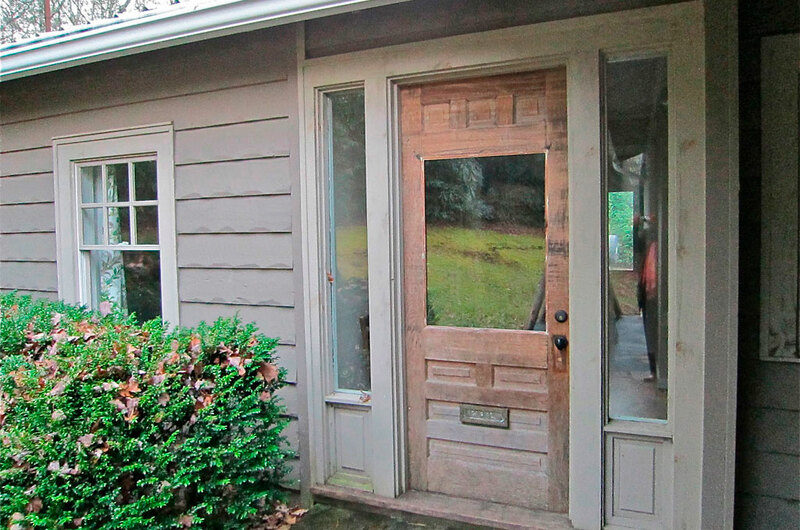 I found a few that I would love to use but, I haven’t located the perfect doors for this home’s entry—yet. Antique shutters would also look great on either side of the doors, and they would hide the hideous ‘shower glass’ windows with the locust diagonal trim. I’m telling you it is ugly–just wait and see the pictures I post the day after I close! Here are a few that I would love to use, if I could find them. 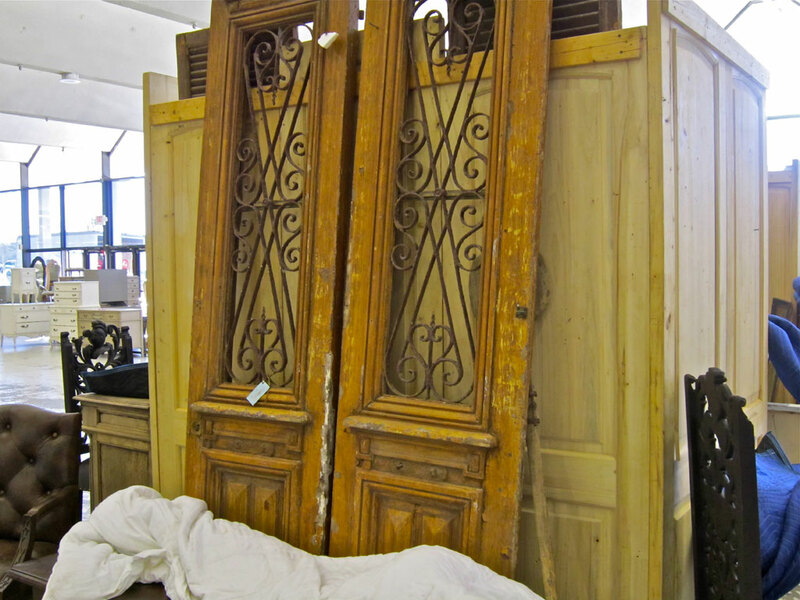 These double antique doors have been stripped and waxed. These entry doors are warm and welcoming–I love the iron work in the glass panels. 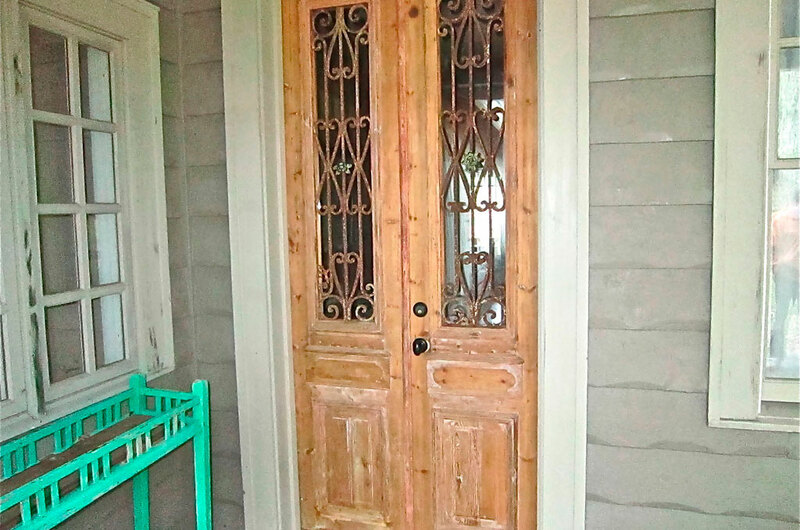 This antique door is flanked with newer glass window panels. Did you notice the old Mail slot? I love this pair, but SOLD. Maybe I can find another pair like these. I really love the iron grills on these lovelies. This may be the best solution. I could use new double doors with three quarters glass and one quarter wood. Then, Shutters could be built by my carpenter to fit beside the doors and cover the old bubble glass windows. Genius! Thank you, Bunny Williams. I love architectural salvage items and my shop is very eclectic. I even have a wonderful 8 point buck’s head wearing an orange cap to keep him safe during hunting season. Unfortunately, none of my doors are double and most of my shutters are window size. However, all of the shutters are from the same place so I suppose that you could have “dutch” shutters. Thanks! I have an overflow right now!